Though standing for only seven-days, the Sukkah’s beauty is in maintaining identity, community, and ritual practice. 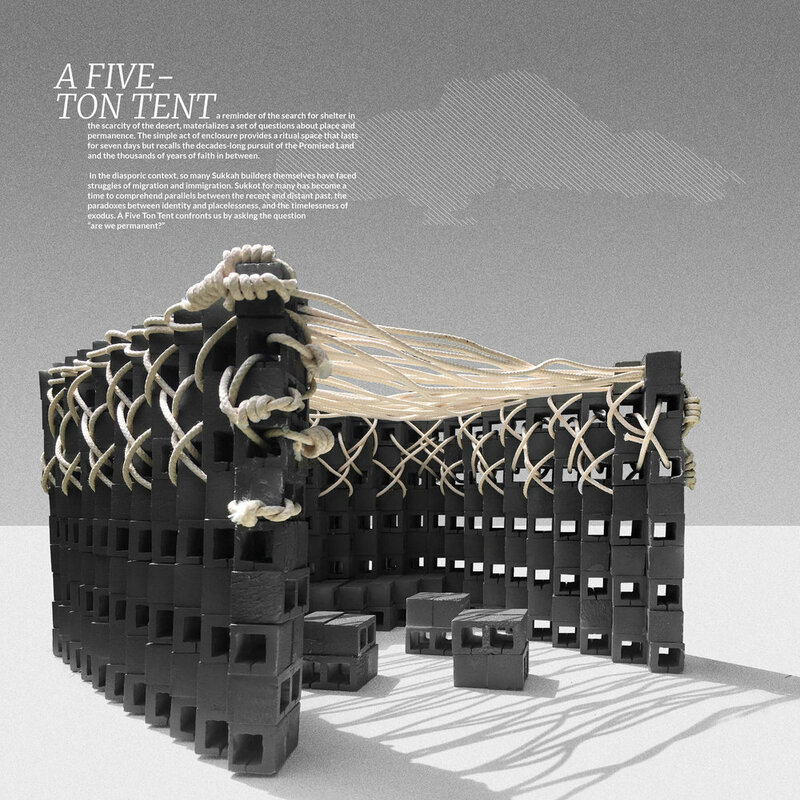 The Five Ton Tent, consisting of 334 cinderblocks and 1200 feet of rope, gives a new gravity to the light-weight Sukkah with which we are familiar. A Five Ton Tent stays within the Sukkot principles of scarcity by using less than $1,500 of the material budget. The remaining $8,500 becomes a donation to the Isaac Agree Downtown Synagogue, thus contributing to the strength of the community even after Sukkot.